“It will be fun,” they said. “You will love it,” Vishal said. This began my foray into trail running. Oh, and the promise of dessert. Where is my cake? I was promised cake! 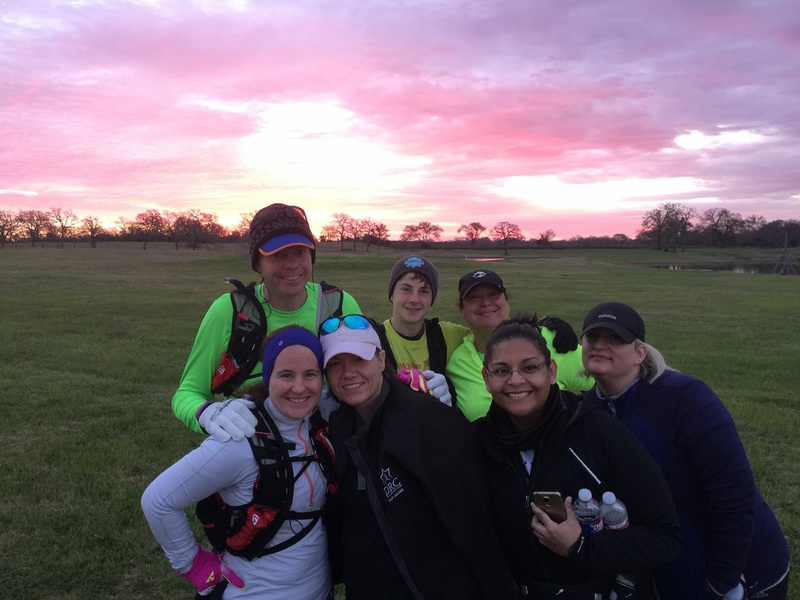 Marcy and I, along with hubby and son all signed up for the Millican Trails 25K in College Station, along with a small handful of friends who signed up to do the 10K. I asked probably more questions than I was allowed of some very experienced trail runners and made a list of the trail shoes I would need to get and the best hydration packs. I must have researched the stuff I would need for weeks. 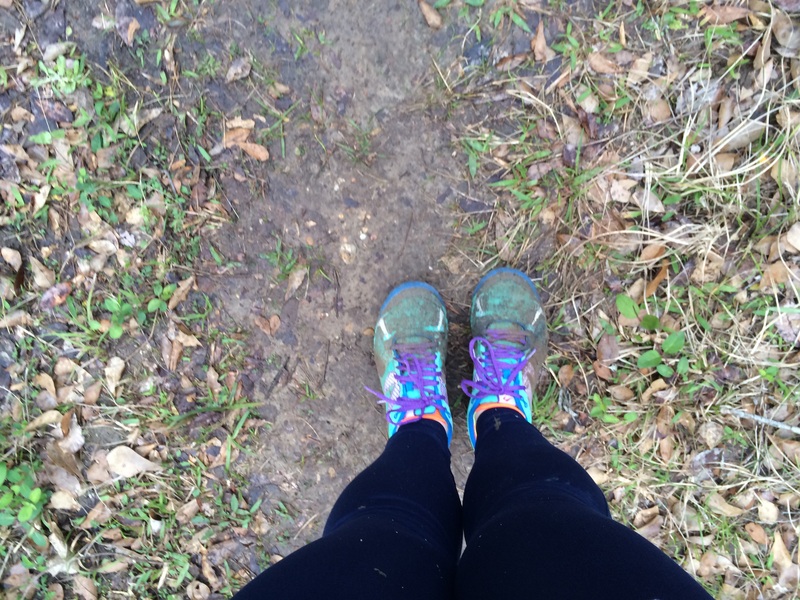 I had no idea how to train for running a race on trails. 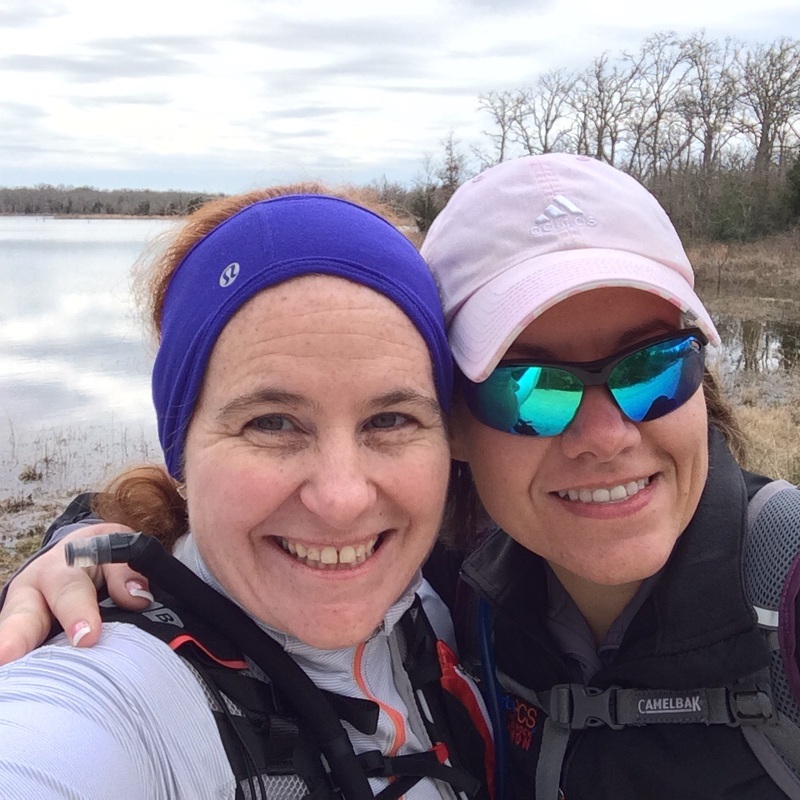 Vishal told Marcy and me to just keep up my base miles on the road and get time on our feet for the trails. Oh, and quit looking at the Garmin. Unfortunately, Mother Nature dealt us some of the rainiest, coldest, iciest weather in Dallas that I can remember in recent years. I’m no stranger to running in whatever Mom throws at us, but apparently the trails close completely in that kind of weather. So, from December through the first weekend in March, the nearby trails were open a total of four weekends and I had the flu for two of those weeks. 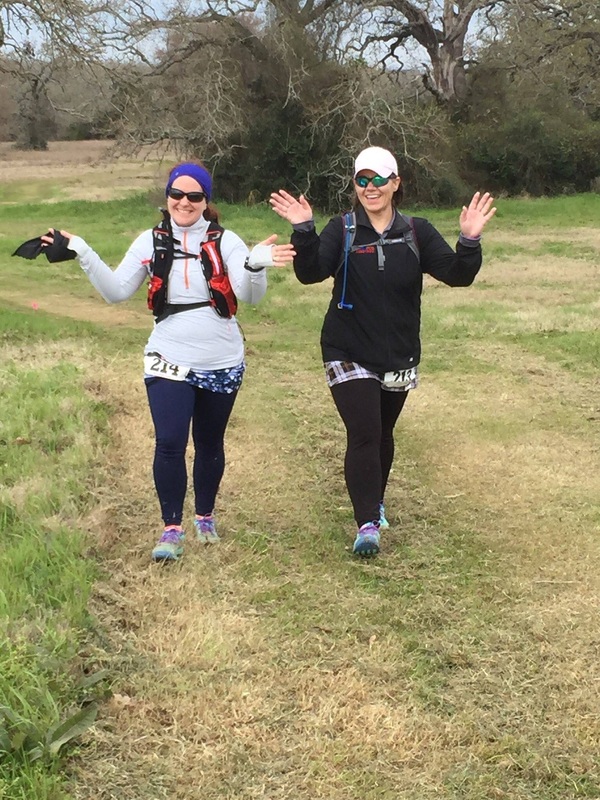 I silently thanked our wisdom of choosing to only run the 25K for the first trail race. To add a wrench to the whole weekend of crazy, Alex (the kiddo), had a track meet Friday night at University of Texas in Arlington. No worries, right? I’ll just send Marcy to College Station early and have her pick up our race packets and we will meet everyone late Friday night. After doing well at the 2 Mile on Friday evening, we made the three hour trek to BCS, arriving after midnight to the hotel. Passing out really is the only way to describe what happened, because 5am was going to come pretty quickly. Seriously, a beautiful pink sunrise with great friends is the best way to spend a Saturday morning. My yellow flower from #fellowflowers for this race with a best friend. After thanking the volunteers, we took off again. Most of the race was spent just walking because the trail was extremely technical with lots of tree stumps about an inch and a half high, roots, twists, turns and elevation changes. 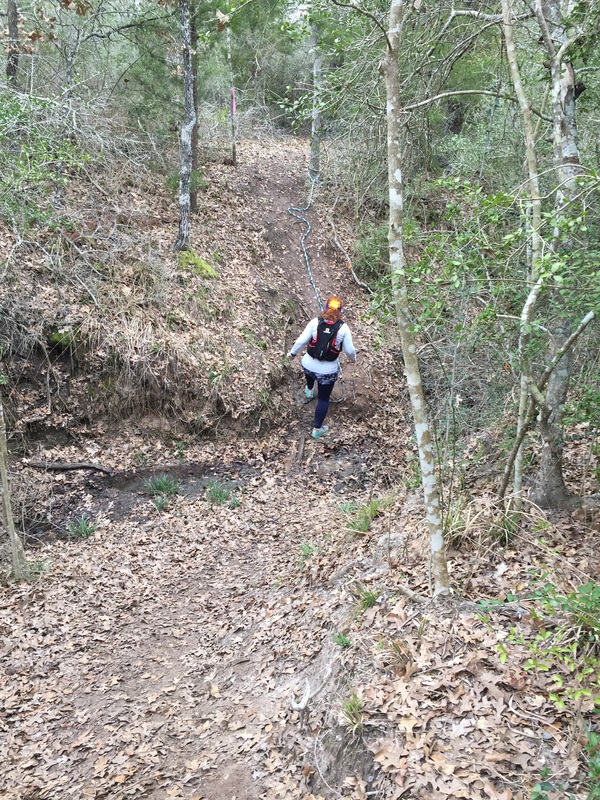 The most exciting elevation change was a steep descent into a creek bed followed by the equal and opposite reaction that had to include a rope to the base of a tree at the top to help get up to the top. There were a few f*bombs dropped as everyone approached this point in the race. All Marcy and I could do was laugh and go for it. It was a BLAST!!! We made it to the next aid station about mile 13 and I ate a quarter of a peanut butter and jelly sandwich – just what I needed. The last two miles were around a small lake, so we had to take a quick picture before we got back to the finish, where Marcy’s boyfriend, my hubby, Alex and our other friends were waiting and cheering us on. By the time it was over, I had dirt in my skirt and I had sanded off part of my pedicure. Verdict? 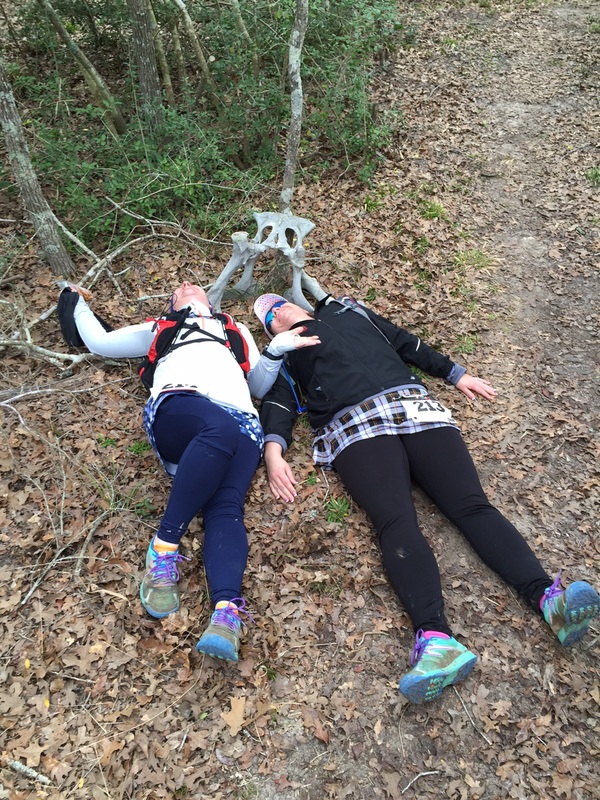 We have fallen in love with trails and can’t wait to sign up for another race. 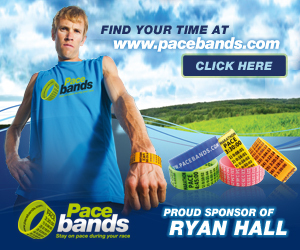 It was wonderful to not care what the pace was on our Garmin or where we were in our age group. Nothing mattered but being out there to enjoy the day. Oh, and cupcakes. Seriously. I was promised cake. 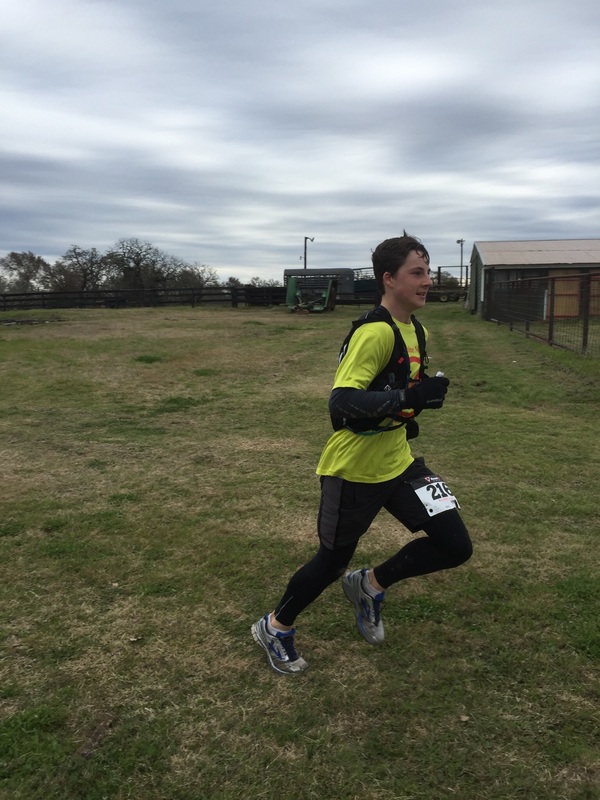 Although “fast” is not usually part of my world, my boy did awesome with a 2:17 finish (first in his age group) on his first trail race and only the second time he had ever run on a trail. I, on the other hand, finished with a smile on my face. And in the end, is there any other way to finish a race?